Baggage handlers and check-in staff employed by Azzurra Ground Handling at Luton Airport today begin voting for industrial action over the company’s decision to impose a pay freeze on hard-working staff. Unite, which represents the majority of workers at Azzurra, submitted a pay claim at the beginning of 2018 but despite numerous attempts to get meaningful pay talks underway the company has refused to engage with the workforce. Azzurra provides ground-handling services to Wizz Air at Luton Airport. Wizz Air is a low-cost airline serving mainly Central and Eastern Europe with around 42 routes from Luton. 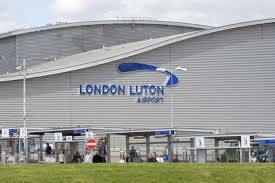 Unite regional officer Jeff Hodge said: “Luton Airport is one of the busiest airports in the UK and Azzurra should be recognising the contribution baggage handlers and check- in staff make by increasing pay so workers can keep up with the rising cost of living. Cleaners at Luton Airport employed by Sasse recently voted to end their strike over pay after the workers voted to back an improved pay offer from the company. Cleaners on the day shift will receive an increase of 5% and night shift workers will get a 6% increase backdated to October 2018 up to April 2019, followed by a 3% increase for the day shift and a 4% increase for the night shift from April 2019 to April 2020. * Like this story? Please support our work here.